Parabolas are very scary. 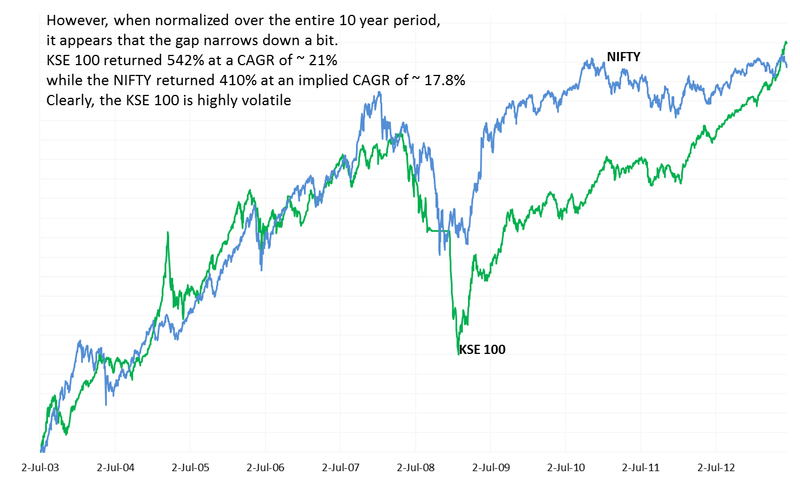 It seems as if of late the KSE 100 is rising us as if KSE 100 = A x t squared. where t = time. Now parabolas require massive amounts of energy to sustain themselves. In the context of the stock market, more money needs to be continuously pumped in for every unit of time elapsed. 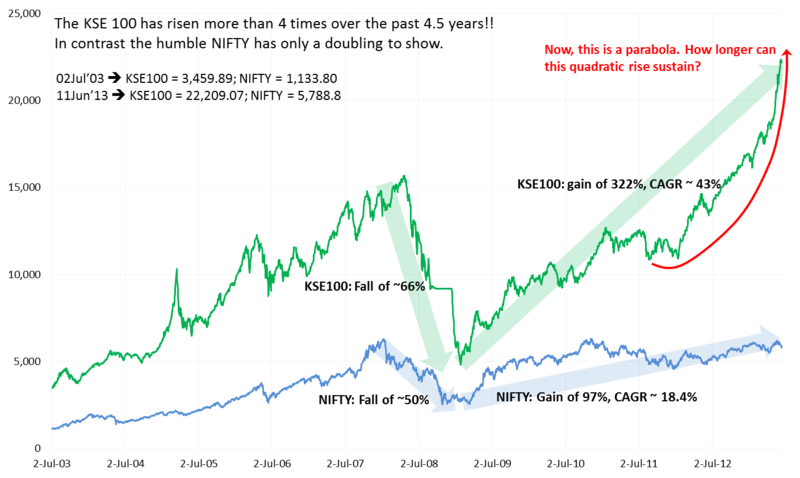 According to me, if the KSE 100 and it’s ilk form your scene, it’s time to short.